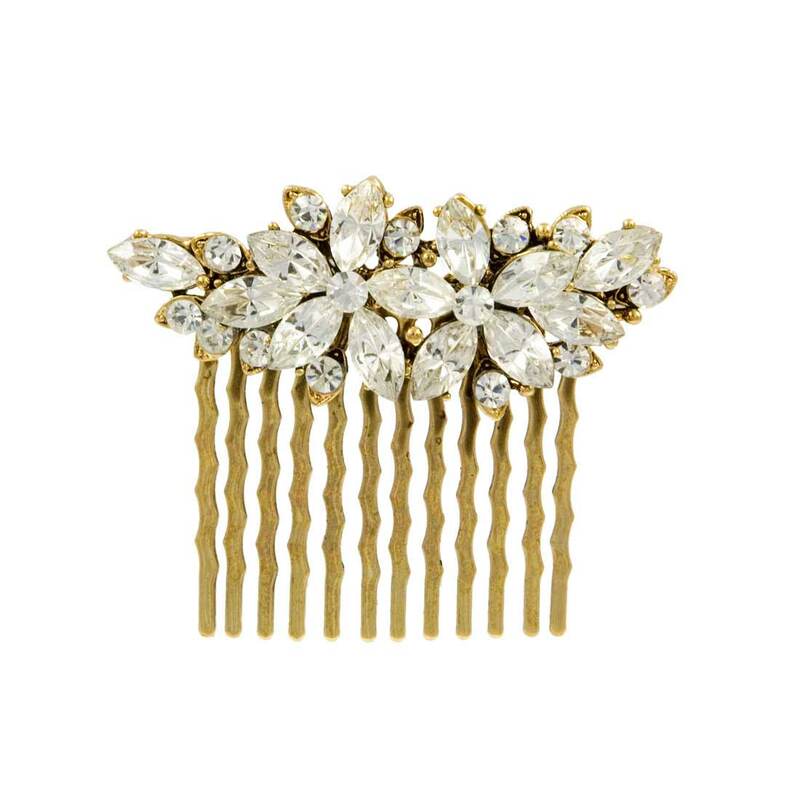 Adorn your hair with this floral antique gold hair comb for a touch of luxurious, feminine style. Simply beautiful, this antique gold crystal hair comb features marquise clear Austrian crystals set in a floral design for total feminine style. Perfect if you adore vintage crystal hair combs, this will dress up party hair styles and is an exquisite wedding hair accessory for brides and bridemaids.